Bamboo has become a popular alternative to traditional hardwood floors. It possesses a similar look with several unique unique qualities that attract homeowners. Before investing your time, money and energy into bamboo flooring, however, you should firs educate yourself on its advantages and disadvantages. Only then can you decide whether or not it’s the right choice of flooring for your home. One of the greatest benefits of choosing bamboo flooring is the simple fact that it’s eco-friendly. The bamboo plant is a renewable source that reaches maturity in as little as 3-4 years, which is a fraction of the time it takes for hardwood trees to mature. This allows companies to produce bamboo flooring fast and efficiently, leaving no lasting impact on the environment. Of course, there’s a natural beauty and sophistication associated with bamboo flooring. The exact look of bamboo flooring varies depending on the particular grain, but it typically falls in line with hardwood materials. In fact, most people mistake bamboo floors for hardwood upon seeing them for the first time. If you’re looking for a stylish, sophisticated flooring to compliment your home, you can’t go wrong with bamboo. As you can see in the photo above, it’s a beautiful tone that’s subtle enough to match practically any home decor. And you can rest assured knowing that bamboo is an eco-friendly alternative to hardwood. Bamboo flooring is priced considerably lower than its hardwood counterpart. This is due in part to the fact that bamboo reaches maturity in just 3-4 years, allowing companies to produce flooring fast and efficiently. If you’re looking to replace the flooring in your home but don’t want to spend a fortune on expensive hardwood, try using bamboo instead. There are some potential disadvantages to using bamboo flooring, one of which is its susceptibility to scratches and dents. 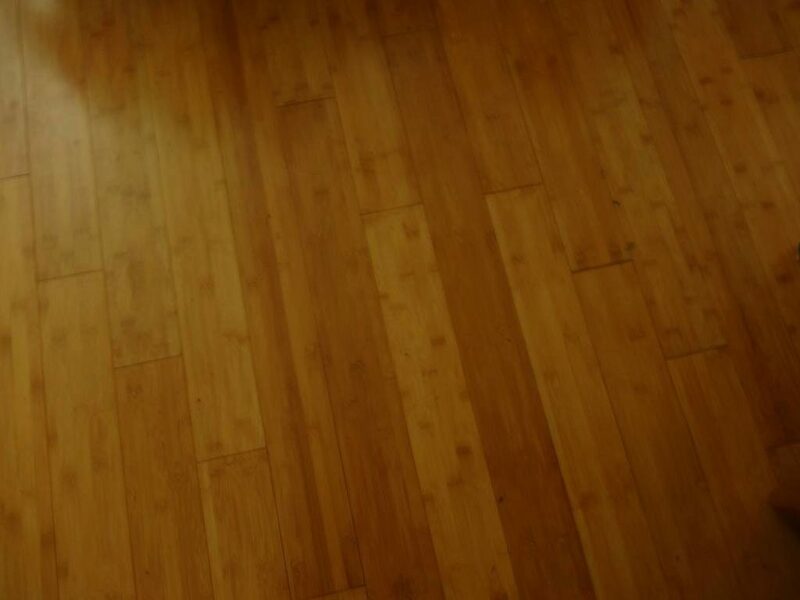 Certain types of bamboo flooring are easy to scratch, making them a poor choice for high-traffic homes and buildings. The key thing to remember is that you want to stick with a premium brand to ensure it’s made correctly, as this translates into a stronger, more durable flooring. Another potential disadvantage of bamboo flooring is its time-consuming and labor-intensive installation process. Most homeowners and contractors are familiar with hardwood and laminate flooring installation, but bamboo is somewhat different. Take your time to plan ahead before jumping into a new bamboo flooring project.